Diane Noller Wells, J.D. | Wells & Wells, P.A. Diane Wells is a creditor rights’ lawyer representing clients for over 30 years in transactions and litigation. Diane’s practice covers new credit or entity relationships, restructures, workouts, foreclosure, entity break-ups, and fraudulent conveyances, UCC claims and collection remedies in state, federal and bankruptcy court. Diane started her career by clerking for the Honorable George L. Proctor, Bankruptcy Judge in the Middle District of Florida. 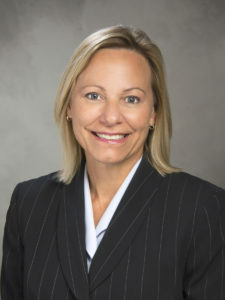 She is also the former Chair of the Business Law Section of The Florida Bar, and has been recognized by her peers for her work in the fields of banking, creditors’ rights and bankruptcy, including being named to the list of Best Lawyers in America, Best Lawyers in Florida and Florida Super Lawyers. In 2010 and 2011, Diane was voted as one of The Top 50 Women practicing law in Florida by Florida Super Lawyers magazine. The Florida Bar (Business Law Section: Chair (2006-2007); Executive Council (1992 – present); Proceedings Supplementary Task Force (2015-2016); FICPA Committee Chair ( ); Financial Institutions Chair ( ); Editor, Publications ( ); UCC-Bankruptcy Committee member ( ); UCREARA Task Force member ( ); UCC Article 2, 3, 4 and 9 revision task force.